Somewhere in the depths of my unconscious mind I have my own fantasy version of France. I am strapped down on a chaise longue being force fed Marrons Glaces by Leslie Caron whilst Edith Piaf warbles in the background. It’s a place I go when I need some respite from the Northern Line, Boris Johnson and assorted modern day horrors. 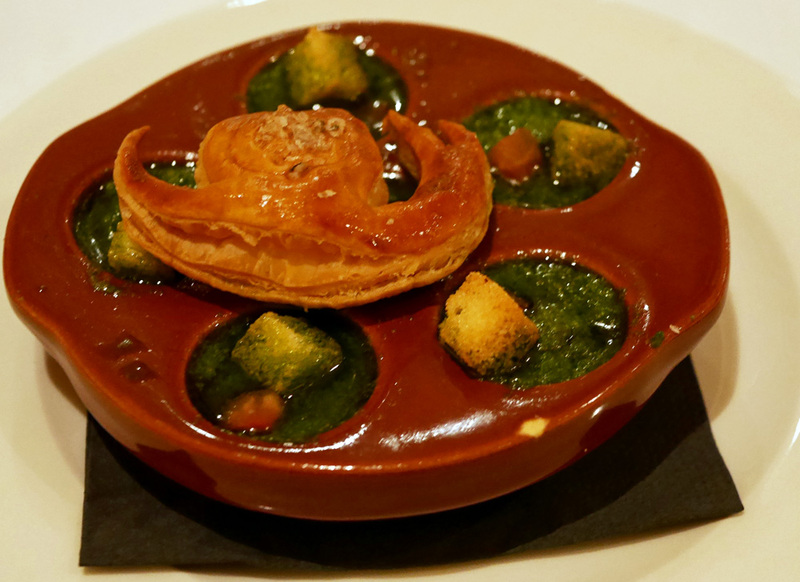 Chef Laurence Glayzer and manager and sommelier Richard Weiss have gone one better creating their own imaginary France on a corner in Chelsea and Fiona (whose photos these are so thanks to her) and I have been invited to review. 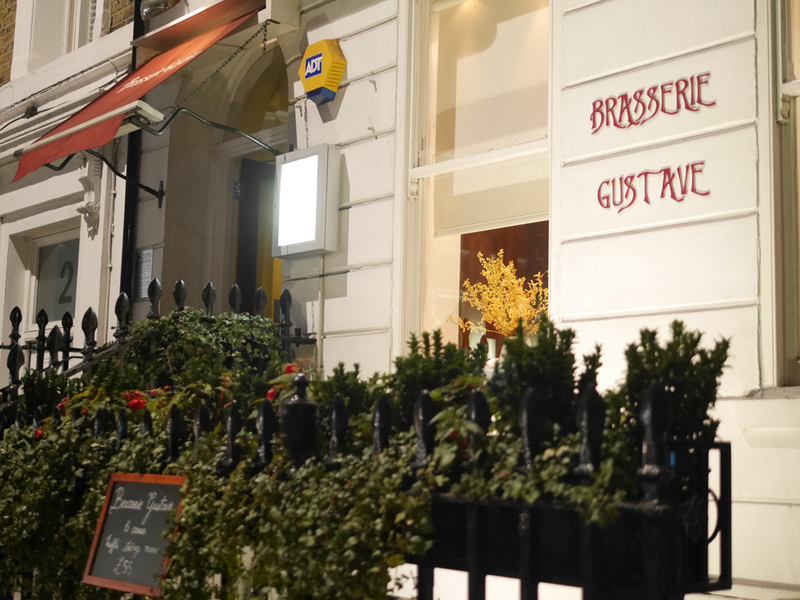 Their Brasserie Gustave, named after the redoubtable Monsieur Eiffel of the tower, has mustard yellow walls, red banquettes and posters of the Orient Express on the wall in case. The menu reads like a rundown of the classic hits of French bourgeois gastronomy and to top it all Richard Weiss, who hails from Alsace, is a dead ringer for Green Card era Gerard Depardieu. If you don’t know what I’m talking about you’re too young and should read another blog. 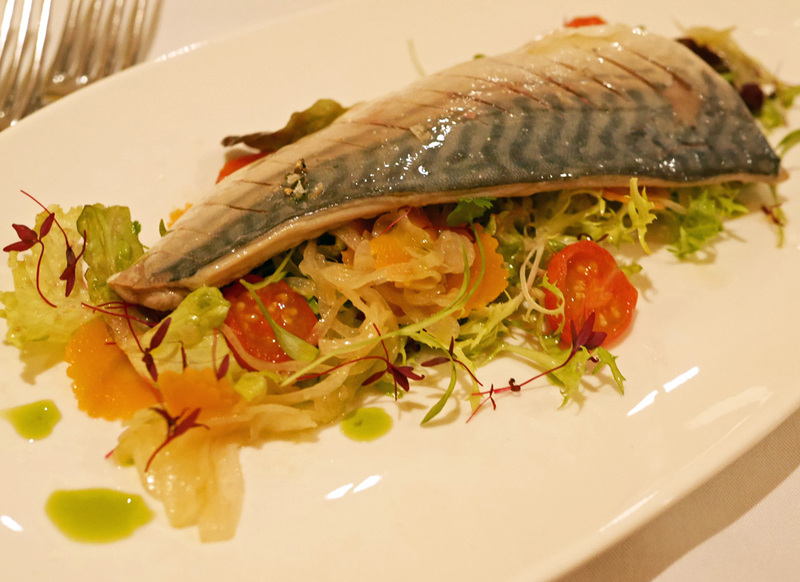 I start with pickled mackerel with fennel, carrot and onion. This dish is insanely good and Fiona is only allowed a tiny taste. The pickling has left the fish really tender with a piquancy that cuts through its natural oiliness Fiona goes for half a dozen garlic and parsley buttered snails out of the shell, their naked shame protected by tiny croutons and a puff pastry lid. In her blog she says that six were enough but confidentially she let it slip that she could easily have eaten a dozen of the little gastropods which were oozing sauce and sensuality. Seeing Fiona’s reaction to the snails Richard realised she was a game old bird and proposed for her main dish their last grouse of the season ‘roasted in the English style’. Still pink on the bone it was full flavoured but tender and came with game chips that didn’t last very long on the plate. 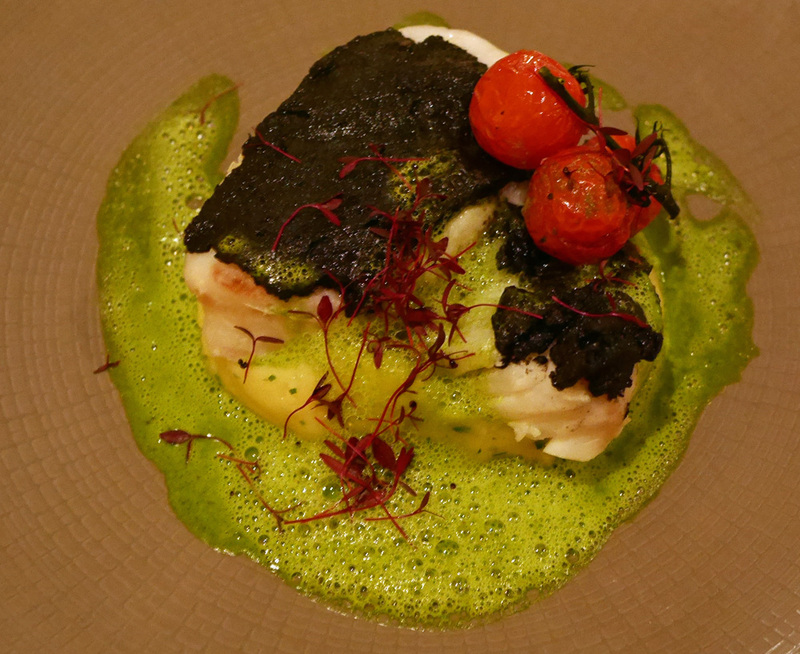 Pour moi a dish of salted cod came poached in milk and served with a black olive crust. It tasted like the sort of winter dish you would pine for as the bitter north-westerly Mistral wind chilled you to the bone-that’s if you were living in one of those Provençal hilltop villages. I don’t but I pretend… Do I have any regrets in life? Yes. Not naming either of my daughters Suzette. 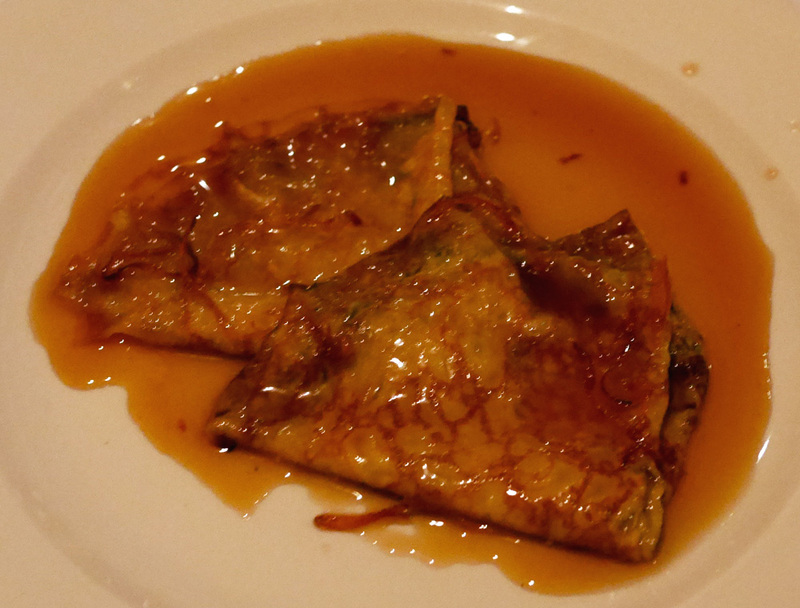 The making of a Crepes Suzette is one of the great moments of gastro-theatre and one I strive to experience as often as possible. It’s as close to a religious experience as I am ever likely to have. 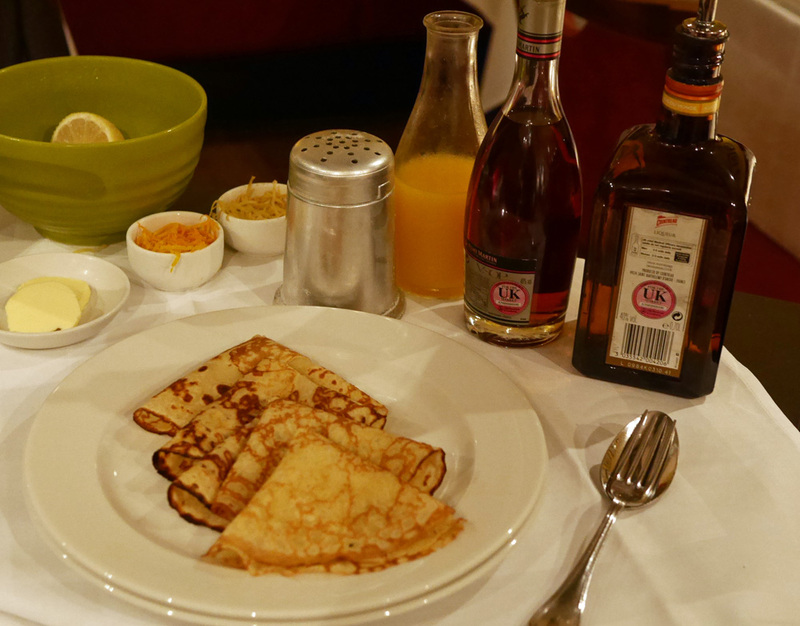 It’s a baptism by fire and the holy trinity of orange, pancake and alcohol makes sinners of us all. 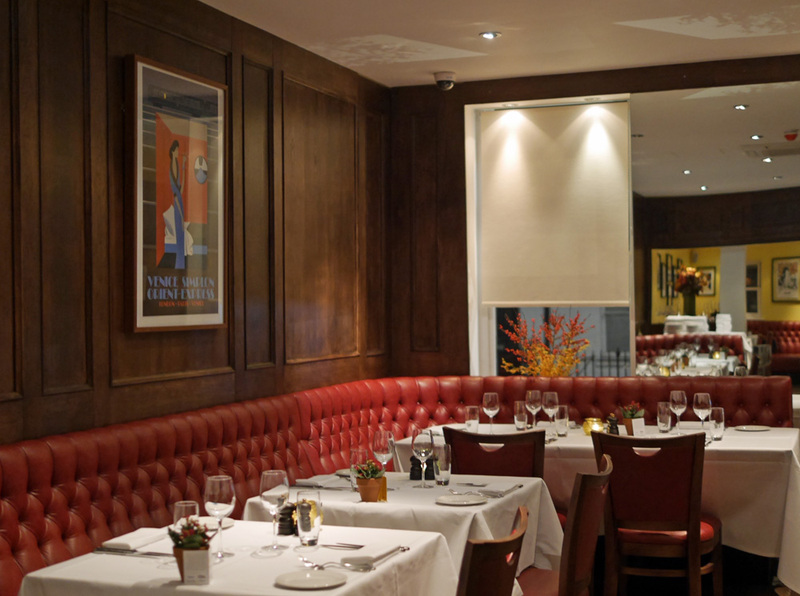 With the recent closures of Racine and Chabrot Bistrot d’Amis the banking quartiers of west London have lost two redoubtable outposts of French gastronomy. 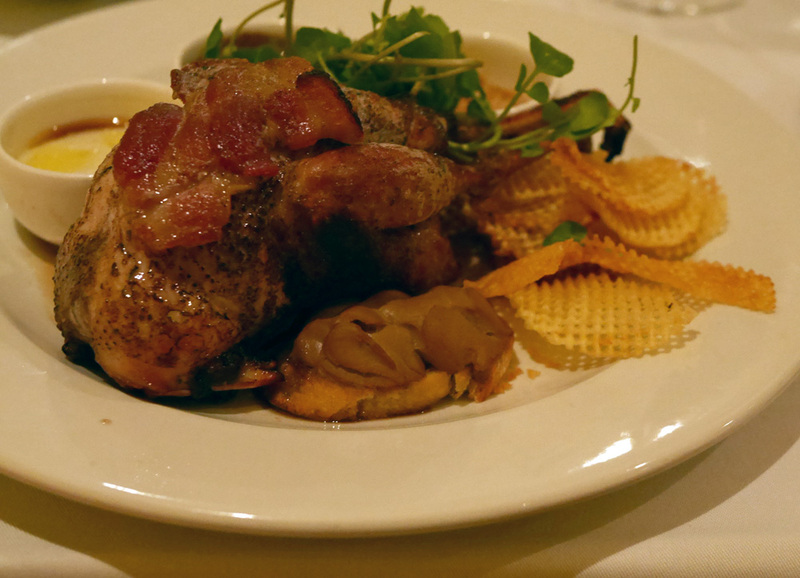 However if you are looking for something authentic then Brasserie Gustave more than fits the bill, which isn’t cheap-but in this neck of the words why would it be!